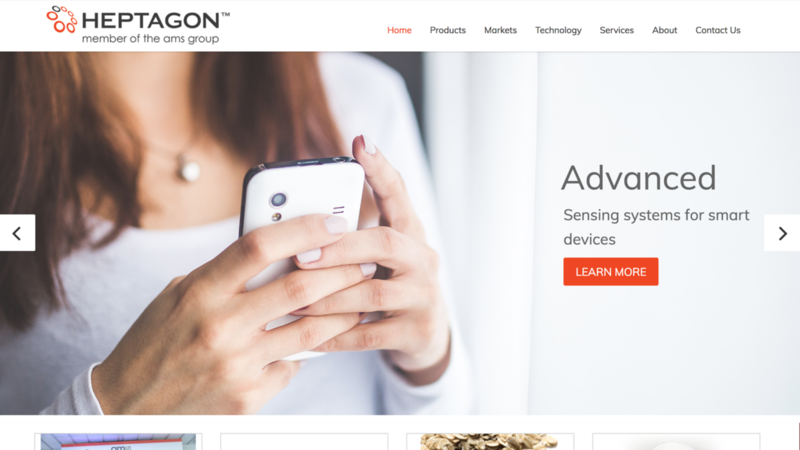 Heptagon - JWay Group Inc.
Help the global leader in micro-optics and optical sensing solutions increase revenue by updating their website to better showcase the value of their innovative products and solutions. Engineers that need to identify high-performance optical systems, sensors, and modules. A redesigned website that features Heptagon products and solutions using a clean, easy to navigate interface that showcases the high-performance optical packaging and demonstrates their leadership in the micro-optic sensing solutions in creative and innovative ways. 300% increase in page views on the website within a month after launch and over 850% at its peak.